IBM® Spectrum Discover is modern metadata management software that provides data insight for petabyte-scale unstructured storage. The software easily connects to IBM Cloud Object Storage and IBM Spectrum Scale™ to rapidly ingest, consolidate and index metadata for billions of files and objects. It provides a rich metadata layer that enables storage administrators, data stewards and data scientists to efficiently manage, classify and gain insights from massive amounts of unstructured data. It improves storage economics, helps mitigate risk and accelerates large-scale analytics to create competitive advantage and speed critical research. Automate cataloging of unstructured data by capturing metadata as it is created. IBM Spectrum Discover supports both IBM Spectrum Scale and IBM Cloud Object Storage. 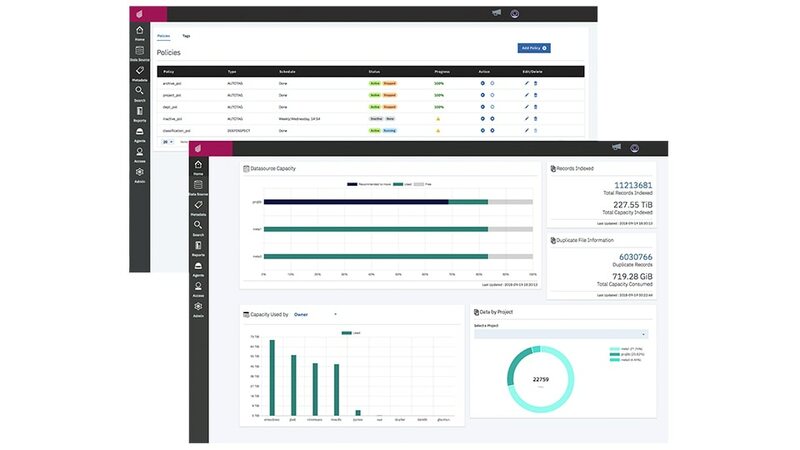 Enable comprehensive insight by combining system metadata with custom tags to increase storage administration and data consumer productivity. Leverage extensibility using the Action Agent API, custom tags and policy-based workflows to orchestrate deeper content inspection and activate data in AI, machine learning and analytics workflows.